This website is about Dover, East Kent, England. The history of the town is lost in the mists of Time – suffice to say that a Bronze Age Boat was found while laying a major road through the town. The unique boat is now on show in the Museum. A new story on Dover’s past is uploaded regularly and the site is proving popular not only in England but throughout the world! To read the stories about the history of the town – which I once love but now sadly has been deliberately destroyed – just click on Topics/ Select category, on the right, or by typing in a specific topic in the Search box, also on the right. The once celebrated seaport town of Dover, England is situated in the south-eastern corner of the county of Kent and is of great antiquity. Indeed, archaeological discoveries go back to the Stone Age and the famous Bronze Age boat – the world’s oldest sea-going boat – is housed in the town’s museum. Named Dubris by the Romans this later evolved into Dover and the Dour for the river that runs through the town. During the Saxon period Dover became a fishing port and Edward the Confessor, (1042-1066) recognising this expertise, which included ships that were strong enough to withstand the conditions in the Channel and the North Sea, proclaimed, in 1050, that the towns folk would provide ‘ship service.’ Along with Hastings, Romney, Hythe and Sandwich, Rye and Winchelsea, the town was one of the Cinque Ports that provided England’s first long serving Royal navy. The famous white cliffs that were the symbol of home to the Englishman abroad overlook the town. The Strait of Dover is the shortest distance between England and mainland Europe and this has, historically and strategically, been of significant importance to Britain up to the end of the end of World War II (1939-1945). Since then, for the same reason, Dover’s port became one of the busiest passenger ports in the world. Now it is heavily clogged with polluting lorries. Dover was heavily bombarded during World War II but did retain many significant historical buildings, ancient archaeological remains and areas of outstanding natural beauty. These however have either been destroyed and are under threat carried out in an Orwellian interpretation of progress. Luckily, there are depositories of historic documentation from the propitious days gone by and from which the stories, published on this website, come from. Please browse the index of Topics on the right for a wide variety of articles from the rich tapestry of Dover’s past. Click on Topics/ Select category, on the right, or by typing in a specific topic in the Search box, also on the right. V interesting, can’t wait for more… Keep up the good work… Your audience awaits. Want to read more,please continue. This website is well designed and very enjoyable to read. Thank you so much! The history and people of Dover should most certainly be celebrated; but, we should not forget the huge challenges we all have ahead of us, if we want to make Dover great once again. Richard B. Thanks, Lorraine – Love it! Having just read the introduction, it has become immediately evident that there is plenty of interesting reading ahead, to which I really look forward. 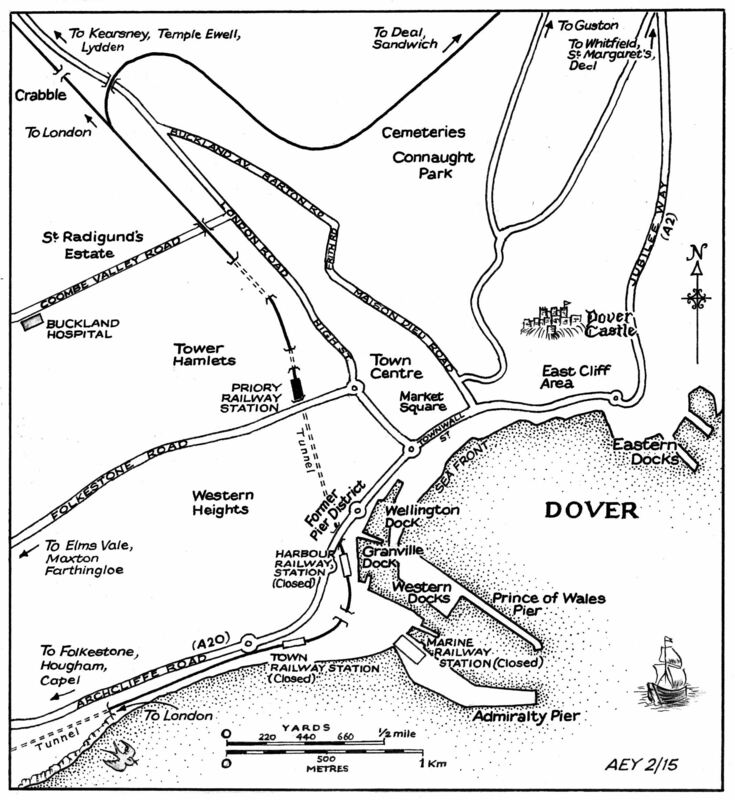 I’ve bookmarked the link, which will give me instant access to The Dover Historian. A very impressive website indeed. An interesting read & so easy to follow too, I will most certainly be looking in on a regular basis. Hello Lorraine I am looking for history of the two GPS Ross and Rutherford who had lived in the house called Bucklands at the bottom of old union road Dover in the 1960s can you help me please. The house you are referring to I have listed as a story: London Road 110 – in other words 110, London Road. The main reason being that there has been a number of houses called Bucklands in the vicinity and the house you are referring to has undergone several changes of name! Luckily, it has not succumbed to redevelopment although it has, in the past, been subjected to a history rewrite in order to justify demolition and redevelopment. This is a typical ploy that is even used for buildings that have been Graded by English Heritage and motivated me into setting up this website! Thank you, the Pepper story that I have uploaded is much more detailed than the published one so I am sure that it will be of more interest. On July 19 1898 the writer Emile Zola crossed the Channel from Calais to Dover ending up in Victoria at 5.40 a.m. Can you confirm that he landed in the old Dover Harbour station, the one with the shortened tower, still standing? He would not have embarked at Harbour Station but almost certainly on Admiralty Pier. From there, if he held a LCDR ticket he would have been scheduled to go to Victoria Station from Harbour Station. Parts of Harbour Station still stands and it still has the remains of what was the Clock Tower – I have uploaded a story directly connected with it and plan to upload a story on LCDR later. now. You are very intelligent. You realize therefore significantly with regards to this subject, made me in my view consider it from so many various angles. Thank you for the kind comments – much appreciated. 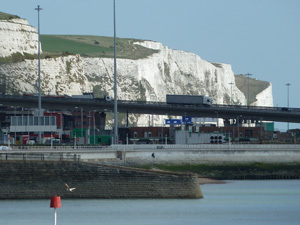 The main reason my work is not well thought of in Dover, England, is explained in a story that will be uploaded on 14 June (date significant as it is our eldest daughter’s birthday). It is entitled Mary Horsely plus Transparency. It looks at why Dover was one of the wealthiest towns in England back in the late 19th century and now, giving one explanation with uploaded hard evidence. The story is based on personnel experience that led me to being blacklisted and for another local historian giving up their website. I do hope that you will read it and carry on reading my other work for although Dover, superficially, doesn’t look too great it is chock-a-block full of history that is well worth exploring and that is what my website is all about. I’m glad you like it Dave. Hello Lorraine. Thank you for a very interesting website. The wonderful article you wrote about the Hills coach building business was sent to me in Australia by a distant relative in England. I am descended from this family and have written a book about the Hills, a copy of which is in the Dover Library. I noticed in your article that Clement Hills came to the Melbourne Exhibition in Australia. In the shipping indexes it mentions a Mr C Hills and Mr Bucknor came with the carriages. Clement would have only been about 18 at this time. 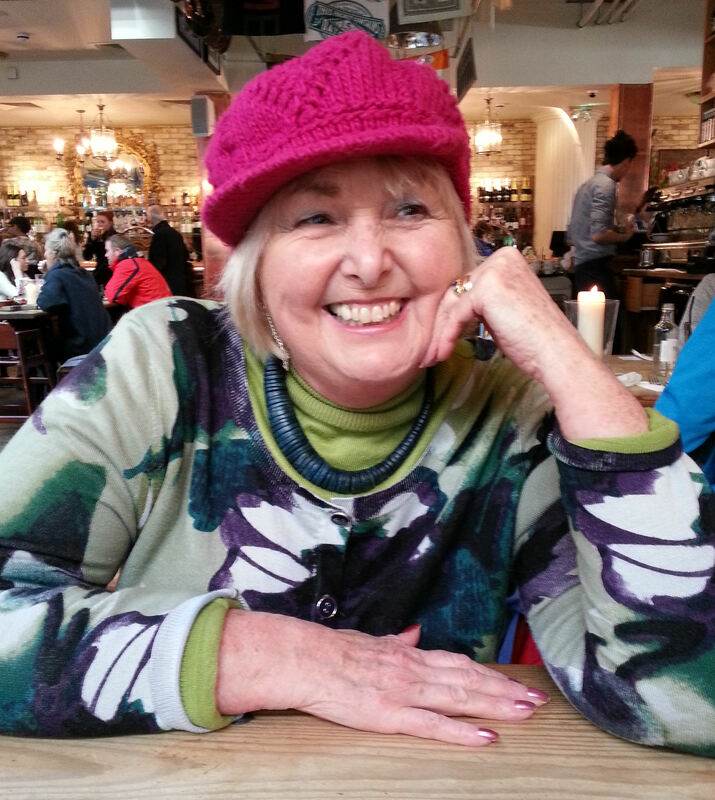 Barbara..
Lorraine I am looking to find out information about Jewish life in Dover through history – are you able to point me in the right direction? Before World War II (1939-1945) there was a thriving Jewish community in Dover and their story is one that is among the 200+ stories I have still to write up and upload. Briefly, the Jewish synagogue was erected in Northampton Street – north-east of Wellington Dock – in 1863 and consecrated by Rev. D Adler. It was thriving in 1939 but due to incessant air-raids it was disused by the evening of Sunday 6 September 1942, when it was badly wrecked. There is a Jewish cemetery along the Old Charlton Road between St Mary’s and St James’ cemeteries. The Dover Museum may be able to help you with further information. I hope that this snippet is of help. The first part of the Old Park story will be uploaded on 15 November and the second part, that covers Junior Leaders, on 22 November. I was stationed at Dover between 1967-1969 with the Junior Leaders Regiment Royal Engineers at Old Park Barracks. What a brilliant time I had. It was hard but very enjoyable time. I have always remembered Dover. Very friendly people. Hello (again), Lorraine…In ‘Dover Fire Service Part 1’ I would be careful in using the phrase ‘State of the art’ referring to the Merryweather fire engine which Dover bought in 1899. This was a manual fire engine, requiring a number of men to pump it and horses to draw it. Although manual fire engines had continued to develop and improve up to the turn of the century, steam fire engines (horse drawn) had been available since the 1860s. The steam fire engines admittedly were more expensive and required a good water supply. Merryweather’s ‘flagship’, announced in the very year 1899, was the steam ‘Fire King’ self-propelled fire engine which needed neither pumping men nor horses, and would truly have been ‘state of the art’. Best wishes for the continued success of this brilliant web-site! Communication at the time of Dover Corporation purchasing the Merryweather’s fire engine was much narrower than today so when it was bought, they either believed it was ‘the state of the art’ (the write up of the time ran into several paragraphs but that is what they amounted to) or that is what they told the rate paying folk of Dover, who would have believed it as they were balking about the cost of buying another fire engine. As a local historian, I try to convey things as they were, parochially, at the time and I am grateful for others to come along, when I don’t do it, and say, ‘well that might be applicable to Dover then, but in reality it was entirely different‘, as you have. Especially going on to give details, such as you have given Neil. Thank you and for your kind comments. what an useful website. May I ask a few questions of you and your readers? I am a political scientist/historian at the University of Western Ontario, and I am working on a life of Chauncey Townsend (1707-1770), London merchant (trading to America), government contractor, mine developer, MP, and investor in privateering. Townsend was linked to several privateering ships, including the “Eagle”– a very successful ship out of Dover and commanded by John Bazely/Bazeley of Dover. It may have been succeeded by the “New Eagle”, though newspaper accounts seem to use the names interchangeably. Kew HCA 25/32 says that Bazely, Townsend, and Thomas Law (Townsend’s clerk) stood bail for the ship. I therefore assume that Townsend had part ownership of the Eagle. 1. do you or your readers have any material related to the “Eagle” or “John Bazely/Bazeley”? I would like to establish if Townsend was in practice a co-owner of the ship, and for how long. 2. do you or your readers know of any local specialists on 18th century Dover shipping? Thank you for your kind comments and yes I do have plans to write a story on Dover and privateering that will include the Bazely’s. The John (1699-1763) you are asking about was the Mayor of Dover 1756-7 and 1762-3 and in his second term of office had Dover‘s Biggin Gate demolished for which there is a plaque on the site. John was also a privateer and his ship was the Eagle. Privateers were a legal for piracy and I plan write a story on Dover but at the moment it is in note form. Of interest, John’s son, also called John followed a seafaring career and eventually became the Admiral of the Blue and his son, John became a Rear Admiral and son Henry a renowned sea captain. I have found your website ‘The Dover Historian’ really interesting. William Johnson Cullin, the shipbuilder of Cambridge Road, is my great grandfather, and clearly the 17th century Mayors of that surname are also my ancestors. My 3 x great uncle James Cullin was landlord of the Two Brewers public house, Limekiln Street, at the time of the 1851 census. but i wont to know how can I link your fab page to my ancestry page . I am delighted with your e-mail and it is interesting to hear that your 3xgrandfather was one of those who went to Dover gaol. I would be pleased if you have more information on him such as if he was one of those who was transported. Lorraine, I would be interested in seeing the evidence supporting the statement in your article that Mary Horsley was born in France. Our family has a lot of its history documented and this is not included. Look forward to hearing from you. Thank you for your enquiry regarding the birthplace of Mary Horsley. First of all I will say that I am not a family historian and only chase such details up as and when they are relevant to the story – as Mary Horsley’s birthplace is, in this case. Before starting out on my research I was well aware from local family historians that Mary was born in Dunkerque, northern France, about 1847. That her father, John William Horsley, was the Priest-in-Charge of the Anglican congregation in that town. In case Mary’s mother, Susannah, had returned to East Kent from where she came, for her confinement, I did check up the relevant decimation. On repeated census returns – that can be seen at Dover library – it is stated the Mary was born at ‘Ville of Dunkirk’. Hello Lorraine I have just been reading “Dover Public Library – the Long Road to Winning” where you mention my Gt, Gt uncle Archibald Wilson who was one of the founding members of the Dover Institute. It’s a long shot but I just wondered if you have come across a picture of Archibald as apparently “it was the custom to place portraits of past-presidents in the reading room” [Dover Express 10/2/1911.] I would dearly love to see a picture of him and I did try the Library but they said that they didn’t have any knowledge of this painting. My guess is that the painting you are referring to of Archibald Wilson was hung in the library that was destroyed by enemy action during World War II. However, I have put my feelers out and if I come across a definitive answer will come back to you. Fantastic site thank you I went into the Dover Library and they gave me your site in hope that you can help, between the windows of 43 Biggin Street there is a brown bear would you know anything about it? this has fascinated me since I moved here 5 years ago but no ones seems to know why it is there. The brown seated bear you are talking about, on the west side of Biggin Street near New Street, has, in the past, been a white bear! He was almost certainly put there after the widening of Biggin Street in the 1890s. Number 41 Biggin Street at that time was the premises of William Masters – hairdresser and umbrella maker. The seated bear, which probably once held a striped barbers pole, was the trade-mark of ‘Bears Grease’, a very popular hair oil until the 1920’s. Of Note before world War I William Masters moved across the road to 38 Biggin and the fledgling store Marks and Spencers moved in! Albeit, the bear stayed in situ and is still there even though he does occasionally change colour! Hi Lorraine, Christine’s Husband Brian chatting, since she wrote I have found out some other facts. The number 43 for this shop is shown on the map held in the Library, not 41, and you are right about the Bears Grease, but it was not an oil, Bear’s Grease was made from the fat of the Brown bear mixed with beef marrow and then perfume added to disguise the smell. It was very thick and often had a nice colour added to it to make it more pleasant to the eye. Thank you for the added information. The number of the shop that I gave is that listed in the trade directories 1902 +/-5years and I guess the map you are referring to is the pink insurance map – there are other discrepancies between the two sources and also over time in trade directories. This is due to new build, demolition and renumbering amongst other reasons. I tend to avoid quoting property numbers for that reason but, as in this case, I was trying to make another point – the hairdresser moved to the opposite side of Biggin Street and Marks and Spencers took over his former establishment. The colour of the bear was, as you correctly point out, brown – as it is today or at least this afternoon! I am sure that you will agree that not long ago the bear was white! Latecomer to Dover Historian and Lorraine Sensicle. I live in France and find it hard to unearth material for my own interests. I note Lorraine’s article on Dover Theatres (the first part) and see no mention of Charles Mate, who was a bit of an actor and owned a theatre on and off in Market-Place from 1786 until – when? I’d be grateful for any information about Charles Mate (it seems that he was a sailor early on in life); but my principal interest is in him as a printer and this time of his life looks to have been after he finished with the theatre. Hence the particular enquiry about when he stopped working in the theatre. I know that he printed broadside ballads during the second two decades of the nineteenth century and that he died in 1825. Was he still a printer at that time? The reason that I have not mentioned Charles Mate in story of Dover’s theatres is because I did not – and checking again, cannot find any reference to him in that capacity … sorry. HOWEVER, there was certainly a Mate family who owned a printers and stationers business during the Napoleonic Wars in the area east of the Market Square. They printed Wellington’s battle orders prior to Waterloo between 1814-1815. You say that Charles Mate printed ballad sheets – my Pigot of 1824 lists a Charles Mate – printer/bookbinder in Market Square, I suspect I can assume that this is the Charles Mate you are talking about. If you have any more information, I would be grateful to see it. I was going thru some family papers and noticed several of my ancestors listed as Mayors of Dover. I was looking for information to confirm that. Certainly the Warren’s that you mention were Freemen and subsequently held important Offices in the town of Dover. – William Warren was Mayor in 1492-3 but I have no other notes. – John Warren was the Mayor in 1525-26, 1536-37 and 1540-41. As Mayor, John Warren was part of the 1540 Commission of Inquiry on Dover Harbour for which profuse thanks was given by Henry VIII but little else. From 1529-for ten years he was one of Dover’s two representatives (MPs)in Parliament. – Thomas Warren was Mayor from 8 September 1549 until 31 December 1550 when he was removed by the Privy Council. In 1559, he landed himself into trouble during the reign of Queen Elizabeth for being disloyal and fined £4. Nonetheless, from that year until 1571 he was one of Dover’s MPs! You certainly have some interesting ancestors! Thank you Lorraine for your great articles. I have lived in Sydney, Australia for the past 72 years, but have several big interests in Dover. During the period December 1944 – July 1945 I was based at the Royal Navy barracks (HMS Lynx) located in the old Oil Seed Mills and I worked in a ration store almost immediately across the road in a warehouse alongside Granville Dock supplying the various small naval ships based there. I therefore found the information re the old oil mills of particular interest. My other big interest is that I have traced my branch of the Penn family as having lived in Dover from at least 1766 to !956. My great uncle Mark Clark Penn, who never married and died in 1956, was as far as I can discover, the last remaining member of the family. In 1988, I visited the birthplace of my grandfather Harry Penn in Dour Street and was made welcome by the resident of the house at that time. Glad that you find the website so interesting particularly in relation to your war time srevice. You say that Mark Clark Penn was the last surviving member of your family that lived in Dover from 1766 to 1956, however, I noted in my story on Crabble Ground and Cricket that the fast bowler Chris Penn (b1963) played there. In 1978 he became Dover Schools’ cricket captain and also played for England boys. In 1982, he made his debut for Kent against Glamorgan and played for Kent until 1994, when he was forced to retire through a shoulder injury. Are you any relation? Fascinating article on the history of Farthingloe. Your research and attention to detail is excellent,even though you may have to summarise. I would like to find out the trestle viaducts designer/builder, costs etc,and relevant history. I have gone through my papers and also checked in Dover Library yesterday (Saturday 23.January 2016) regarding who built the trestle viaduct along Shakespeare beach in 1843 for the opening over the South Eastern Railway London – Dover Line in 1844. The only conclusion I can come to is that it was built in-house by the Company, under the supervision of William Cubitt, their engineer, and his assistant Mr Hodges. The major problem encountered was on 10 October 1843 when the viaduct was destroyed at high tide by severe weather. Alterations were made in the design /sea protection and the project went ahead. This site has just been forwarded to me by a friend in Dover. I was first interested in the town when staying with a cousin in Belgrave Road. She was married to Ted Pollington, a popular and respected police man there. This would have been in the mid thirties and together with their son Jack, we explored the heights above Belgrave road. I was thrilled to be able to look down onto the draw bridge, complete with a soldier on sentry duty. Alas it is no longer used for that purpose, likewise the entry gate on the seaward side of the barracks that has been demolished. In 1955 my wife and I bought our first brand new house in Mount road. It cost £1,650, well fitted out with wood block flooring and oak thresholds on the ground floors. A silly price by today’s prices but it still needing some finding to pay it off each month. Yes, I agree about house prices especially meeting mortgage repayments. Lorraine. Your articles about the history of Dover make interesting reading. However I am rather disappointed that I cannot find any reference to Dour Iron Foundry (later to become the Dover Enginering Works) that was located in the centre of the town since the 1750’s. Dover Engineering Works was a major employer in the town and the GATIC engineered manhole cover developed by its owner Vivian Elkington in 1928 achieved international acclaim as the premier engineered access cover and still retains that status today although the company operates from a site in Poulton Close. Covers bearing the name DOVER ENGINEERING, ELKINGTON or GATIC were installed by all the major utilities, oil companies, airports, seaports and power stations around the world so that wherever you travel today the chances are you will come across one or more of the world famous covers. It is a shame that one of Dovers major exporters is seldom recognised in the historical articles concerning Dover. 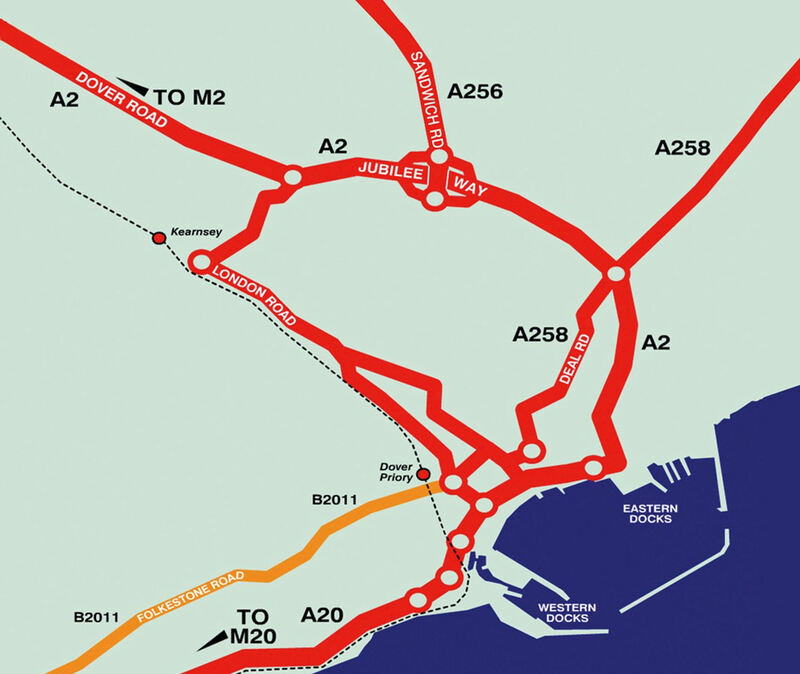 I hope this explains why but I can assure you that Dover Engineering Works are high agenda. Reading David’s initial correspondence, he was talking about Dover Engineering works, which was on Charlton Green. I have written a piece on the Engineering Works and this can be seen in my article in the Dour PartIIb – the lower Dour. I was at the Duke of Yorks Royal Military School from 1954 to 1961. The area between Dover Castle and St Margarets Bay, which includes the old Chain Home installation at Swingate, was a popular area for us boys to explore on Sunday afternoons. We were not allowed to go into Dover without special passes so we explored this area instead. At the time I was there there were only three of the big steel towers which then still had the horizontal bays. There were still four of the smaller wooden towers but they had gone when I visited in 1986. The path to the clifftops was right opposite the main gates to the school on the Dover to Deal road and went between the two sets of towers. I recall exploring some installations in the face of the cliffs. There were brick tunnels and rooms but they were derelict at the time and when I think back I shudder to think that we may have been in danger of them collapsing on us. We were told that they had something to do with World War 2 but we thought the sound mirror installations were places where radar dishes had been installed. We explored all around this area back as far as the nearby village of Guston. We found a lot of grassed over mounds and concrete bases. I never knew what they were until many years later when the TV programme about Churchill’s big guns was shown. An interesting set of coincidences occurred when I left school. I applied for a student apprenticeship at then Ministry of Defence Royal Radar Establishments College of Electronics in Malvern. I attended an interview in London and before I had left the building I was surprised to be asked back to the interview room where I was offered a place. It turned out that one of the gentlemen on the interview panel had been doing research work on the TV link across the English Channel which was installed on the big towers. He knew about the good educational and discipline reputation that the school had and this had led to the offer. As you can see I now live in Australia but still like to occasionally look at things to do with Dover. Thank you for the information on the history of this area as it has filled in a few of the blanks. First, thank you for telling me that the website fills in a few blanks – that is one of its functions. The other, of course, is telling people about the unique town of Dover, the history of which can be traced to the Bronze Age and because of the location, history is still being made. The Duke of York’s school still enjoys a high reputation and its story can be seen on my website. Also, the story of Swingate, where the towers you mention Eric, are. The wooden ones are long gone. The sound mirrors from World War I and the caves, mainly created under the cliffs during World War II, still exist and one of the caves is now open to the general public for escorted tours. The footpath you mention has been diverted and the building of the A2 has created difficulties in getting to the top of the cliffs (Langdon Cliff) from outside the Duke of Yorks. The most popular ways to get to Langdon Cliff is to climb the steep footpath from Athol Terrace by Dover seafront. Alternatively, by car up Connaught Hill, turn right on to the main Deal road and then take the first right turn just past the Castle. Follow the road round and past the Bleriot Memorial and up the cliff road to the National Trust car park at the top of Langdon Cliff. Or continue along the road towards St Margaret’s from where there are good views of the towers and the Duke of York’s as well as stopping places besides the different War Memorials. Hope that the stories of Dover will continue to interest and thank you very much for writing about your experiences of Dover. Your stories of Dover and the East Kent Road Car Company reminds me that, several years ago, a group of us from the KESR got together and formed aThomas Tilling Group. One of the group owned a vintage Tilling coach, crash gearbox and all. On one occasion we loaded up with Pimms, picnic and wind-up gramophone for a visit to the Bluebell Railway. Lunch was enjoyed on the platform with records playing on the Gramophone. A good day was had by all. On the return we dropped into a cafeteria at Cross in Hand (near Heathfield). We were met by a somewhat officious manageress and were told, “We don’t take coaches”. “But there are only a dozen of us”. “Sorry, no coaches”. On of our party persisted, “But we are not a coach madam, we are a Road Car”. She let us in!!! I am searching for info about Dover Harbour in the 1670’s. Was there a formal dock there then? If not, how did ships land? Thanks! An overview of the history of Dover Harbour can be read in the uploaded story: Dour River – Part I an Historical Overview and a number of other uploaded stories such as Shipbuilding part I, Waterloo Dock, Granville Dock etc. Briefly, the harbour moved to the western side of the Dover Bay at the end of the 14th century and 100years later Thomas Digges (c1546-1595) designed the base of what we can see today. Indeed by the beginning of the 19th century the harbour comprised of the Pent, the Bason and Tidal basin. During that time the general economy and other factors affected the harbour and in the period you ask about it was badly neglected. The photographer Charles Stephens Harris whose studio was at 77 London Road, Dover is related to me – his sister Sarah Maria Peacock Harris is my paternal grand mother. Sarah Harris’ husband James White and his wife are both buried in Woodnesborough Church Yard. I have a photo of Charles Harris. Would you want a copy to use on this web site? Thank you Chris, the photo of Charles Harris has been uploaded in the story of Dover photographers. Thanks so much for the in-depth info about the Cinque Ports Pilots! Many of my ancestors were these pilots and also Dover Pilots and Trinity Pilots so it is particularly interesting to me! In fact, doing family research I find that branch has been living in Kent for nearly 1000 years! How is Australia – in the depth of winter? I am pleased that you enjoyed the articles on the Cinque Ports pilots, feedback like yours makes it worthwhile undertaking the research! If you have anything to add or pictures that I can use, they would be every useful.